At Nature's Best we distribute a large range of cat litter and litter accessories that are extremely safe to use for your cat or kitten, and the environment. Whether you are looking for a premium blend of cat litter, or cleaning products that assist in neutralising any unpleasant odours, Nature's Best has got you covered! Absorbs liquid waste, and inhibits bacteria. Made from ink-free recycled paper, Feline First Eco-Friendly Paper Litter is free from harmful chemicals and ink, which has been removed during the production process for the safety of your feline friend and the environment. Fragrance-free formula for cats (and people!). Made from a premium blend of natural minerals and clays. Lasts up to one month. All natural; safe for your cat and the environment. Clumping litter sticks together where a cat urinates, making it easy to scoop clumped litter and solid waste out of the box every day. Clumping litter does not need to be replaced every week. Just add more litter as the level gets low from scooping. Every three to four weeks, replace the litter entirely and wash the litter box. Absorbs liquid waste in seconds and neutralises odours. Each silica crystal has countless pores to absorb liquid and control odour. After removing the solid waste, stir the crystal thoroughly to ensure the best possible results. Unlike other types of litter, you don't have to change the litter as often. Made from a premium blend of natural materials. Organic litter absorbs moisture where a cat urinates, making it easy to scoop clumped litter and solid waste out of the box every day. Organic litter does not need to be replaced every week. Just add more litter as the level gets low from scooping. Every three to four weeks, replace the litter entirely and wash the litter box. Made from all natural pine wood, Feline First Premium Pine Wood Cat Litter is free from harmful chemicals and ink, which have been removed during the production process for the safety of your feline friend, and the environment. Low dust makes this product perfect for those families with allergies. weeks, replace the litter entirely and wash the litter box​. Organic cat litter absorbs moisture where a cat urinates, making it easy to scoop clumped litter and solid waste out of the box every day. Nature's Best Organic Cat Litter does not need to be replaced every week. Just add more litter as the level gets low from scooping. Every three to four weeks, replace the litter entirely and wash the litter box. The Hartz Fresh Scent Litter Beads completely deodorise your cat's litter and work to reduce any unwanted odours. Simply sprinkle the no-dust, no-mess bead on top of the litter for easy cleaning and a boost of fresh scent beyond the litter box. Hartz Multi-Cat Strong Litter is suited for homes with multiple cats. The litter absorbs liquid waste and binds into firm and tight clumps for easy removal and clean-up. Odours are instantly controlled while urine odour is stopped, resulting in a long-lasting freshness. The Multi-Cat Strong Litter only needs to be completely replaced once a month, just scoop daily and top up the litter as needed for the best results. 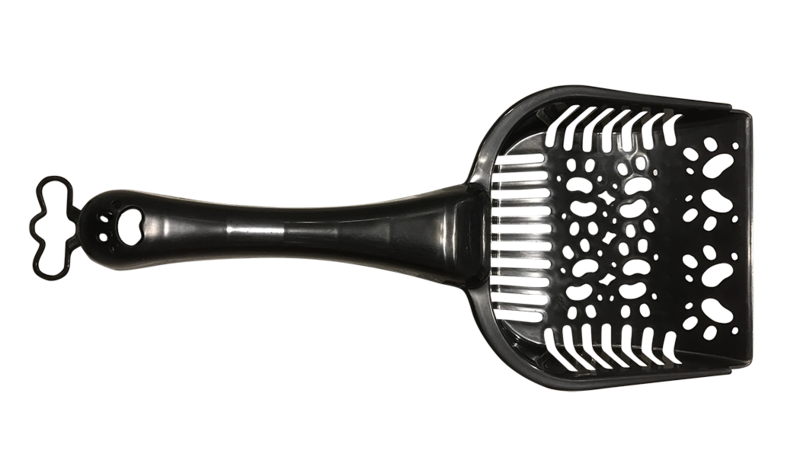 Features a non-dusty formula that allows clumps to not break. ​Available in Fresh Scent or Lavender Scent. The Hartz Heavy Duty Cat Litter Box Liners are made from heavy duty tear resistant plastic that ensures that any odour-causing waste does not stick to the litter box. They also have convenient ties that make disposing of the litter so much easier. Contains 12 individual litter lines. Hartz Nodor Litter Liners are tear resistant, working to protect your cat's litter box from getting unnecessarily scratched or stained. Also helps in controlling any waste odours and prevents any litter from sticking to the side of the litter box. Hartz Nodor Litter Spray works to completely neutralise any cat litter and/or urine odours with its odour encapsulating technology. The spray will not clump the litter, making it the most ideal and safe spray to use on and all around your cat's litter. Eliminates cat urine odour and residue. 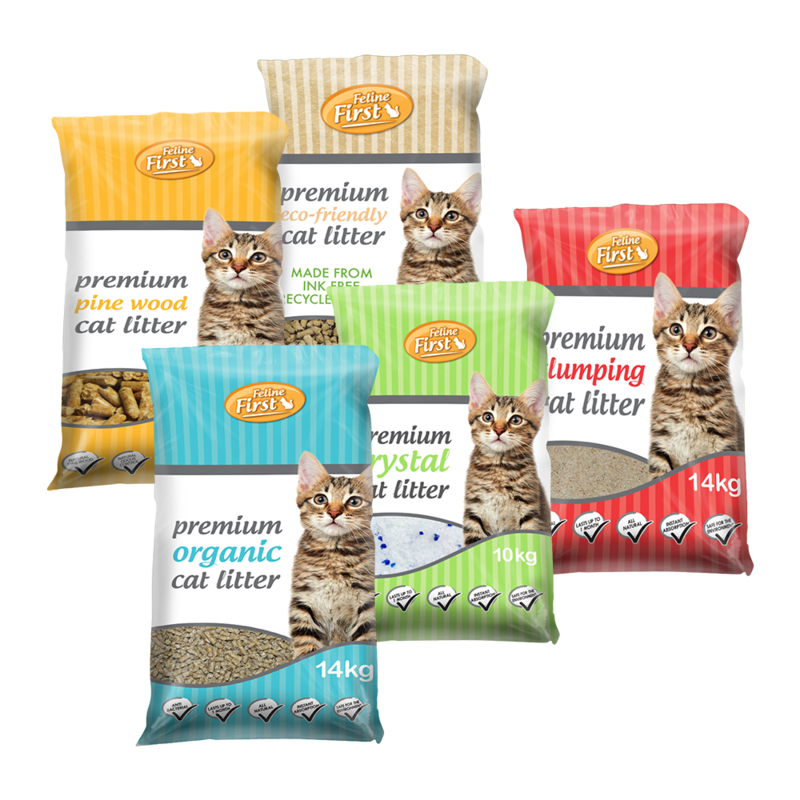 Hartz Nodor Litter Box Wipes are specifically designed to easily clean litter boxes and scoops while completely eliminating any odours or residues. The Feline First Cat Litter Scoop is specifically designed for easy scooping. It assists in cleaning your cat's litter box much faster, while also helping to avoid any accidental spillage on the floor. The Feline First Litter Trays are an essential item that offers cats a place to do their business without making a mess in the house. The Feline First Litter Houses offer your cat or kitten privacy when they are using their cat litter tray, while also preventing litter from being pushed outside the box. The top and the bottom also separate to make scooping and cleaning easier.